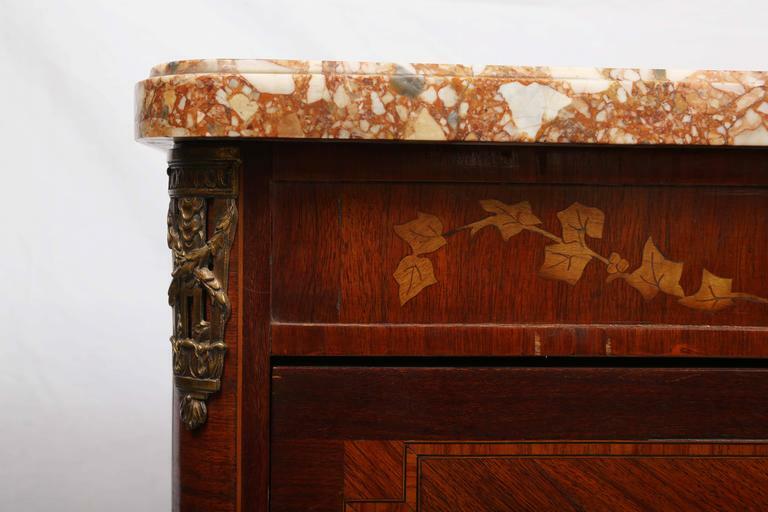 Exquisitely inlaid, with nice proportions and marble top. The wicker is tightly fashioned, possibly Heywood-Wakefield. 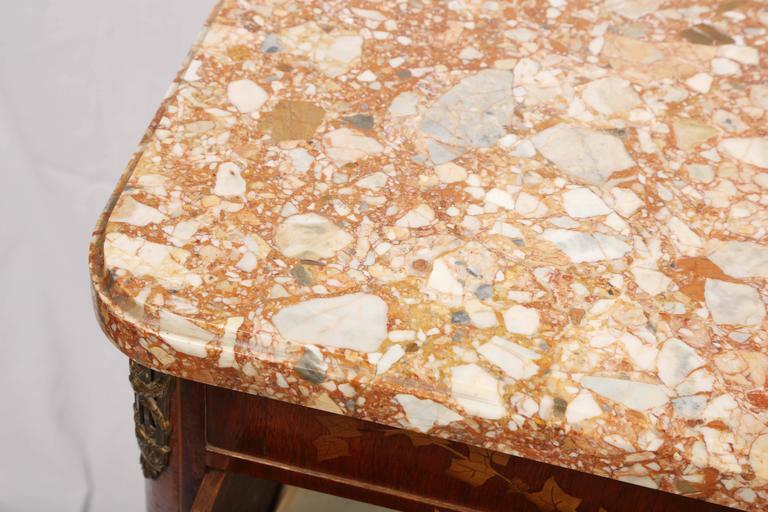 It is appointed with an inlaid six sided star on its bottom shelf. 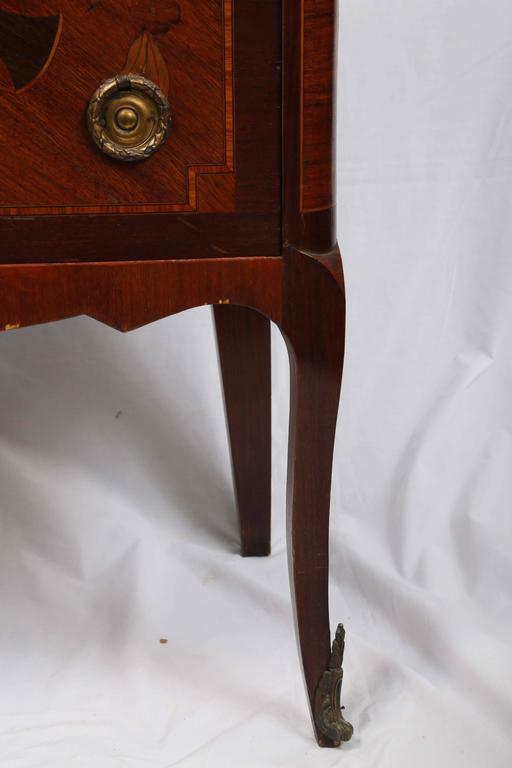 Petite walnut commode, early 19th century, France. Three drawers with original escutcheons, and one original lock. Wonderful aged patina. 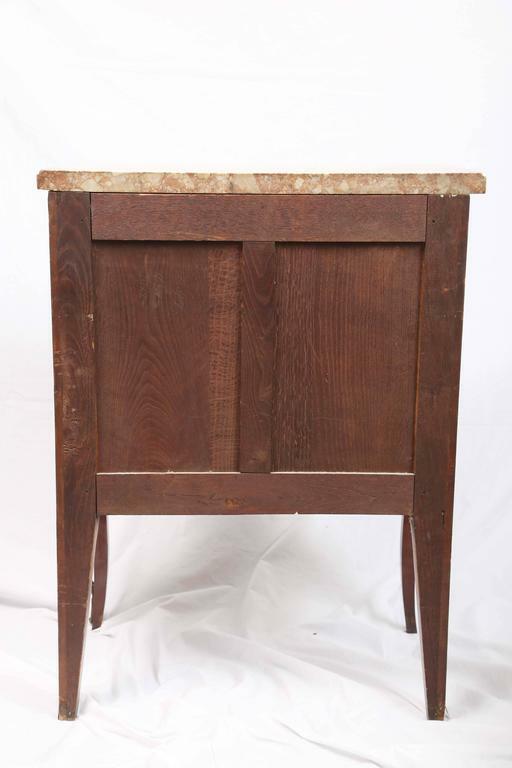 A fine mid-19th century French figured elm commode of superb color, with 3 long drawers below a frieze drawer, circa 1850. 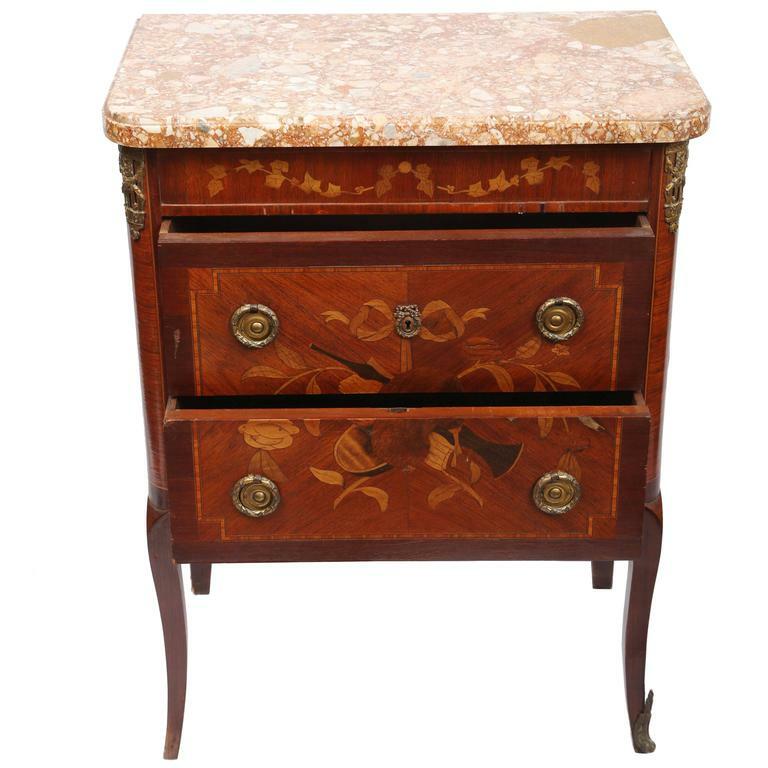 The petite Dutch serpentine oak commode with 4 drawers and brass hardware terminating in ogee bracket feet. 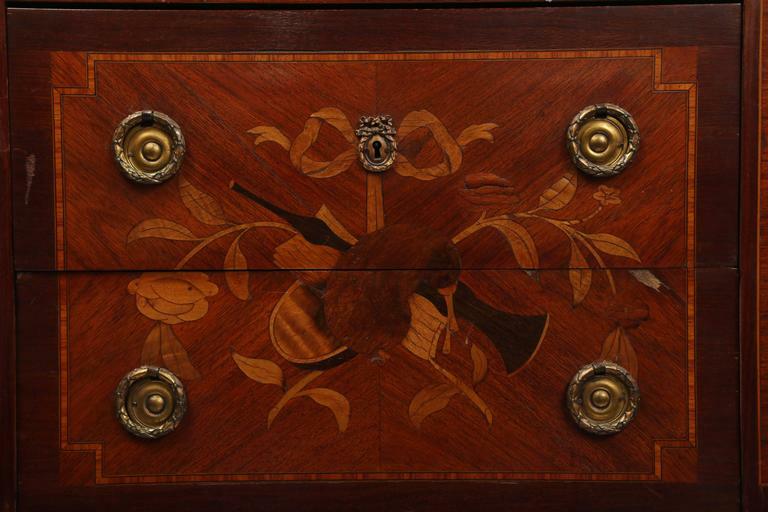 Charming 19th century French commode. 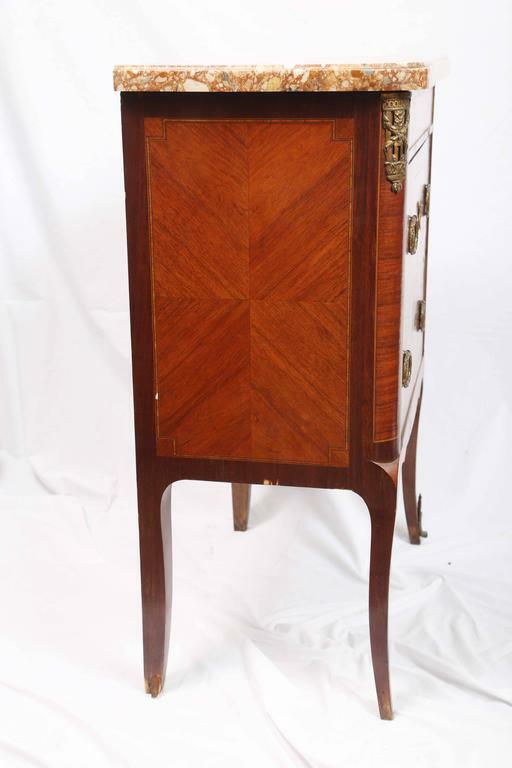 Handsome late 19th century French faded mahogany Directoire commode. 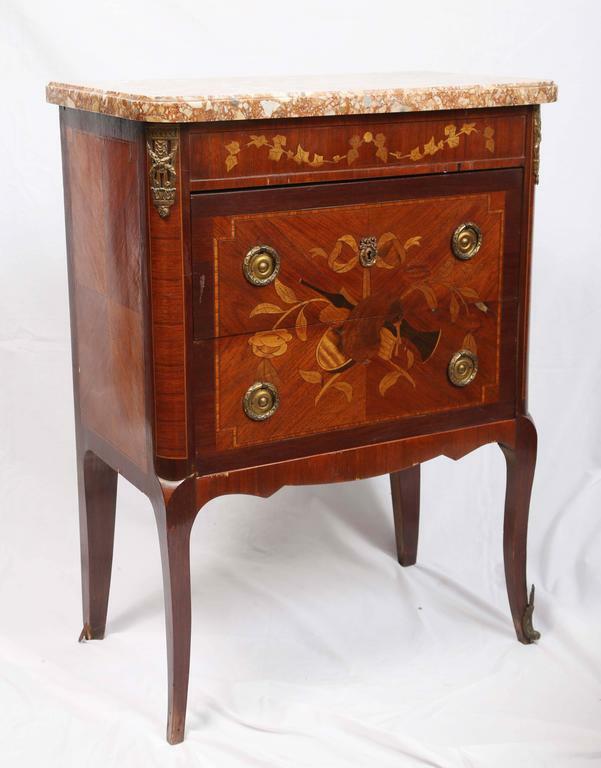 Marvellous 19th century French Directoire mahogany commode.